Welcome to Toyota Santa Monica! Toyota Santa Monica is proud to be an ardent supporter of the Santa Monica community and environmental issues. Senator Fran Pavley recently recognized us as her Sustainable Business of the month. We are one of the leaders in hybrid sales in the nation and we are one of eight Mirai dealers in the state of California. Toyota corporate has also awarded us with their prestigious Governor and President’s award for being a leader in customer satisfaction. Our professional sales staff and service advisors are experts in what they do and trained to make customer service their top priority. The LAcarGUY family of dealerships has been a Los Angeles fixture since “Sully” Sullivan opened his first dealership, Volkswagen Santa Monica in 1964. Today, LAcarGUY includes 10 award-winning dealerships throughout Los Angeles. 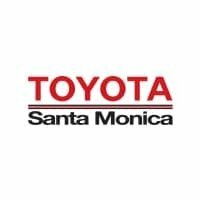 See what makes drivers from Venice, Malibu, Palms, and Culver City visit Toyota Santa Monica by stopping by our showroom six days a week at 801 Santa Monica Blvd – and don’t hesitate to contact us with any questions.